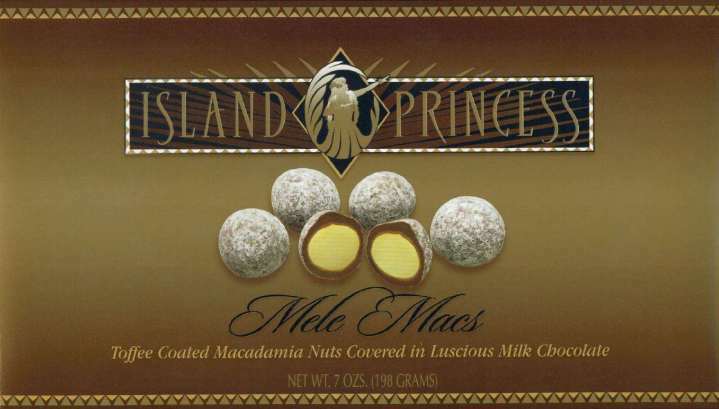 Island Princess Mele Macs, Toffee Coated Macadamia Nuts. 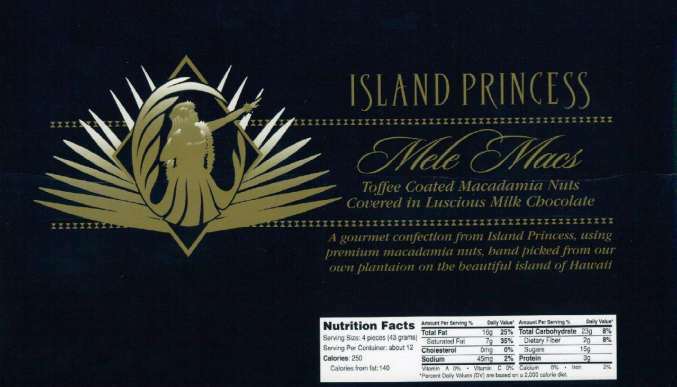 A gourmet confection from Island Princess using premium macadamia nuts, hand picked from our own plantation on the Beautiful island of Hawaii. Graphics and Text is copyright © 2000 by Island Princess, Inc.